Degree® – the first deodorant activated by movement – is joining forces with DanceOn – the leading dance entertainment network – to help inspire people to dance more in the name of improved health and wellness. Degree’s® MotionSense® technology gives users ultimate freshness with every move and provides 48-hour odor and wetness protection, making it the ideal product to sweat-proof dancers of all levels. Professional ballerina Alison Stroming will join Degree® and DanceOn to inspire people to move more through dance. Dance fitness expert Jessica Bass James will join Degree® and DanceOn to inspire people to move more through dance. Hip-Hop dancer and choreographer Tricia Miranda will join Degree® and DanceOn to inspire people to move more through dance. 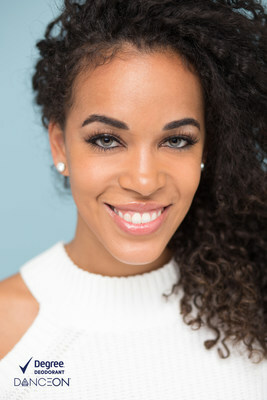 Heels dancer and choreographer Nicole Kirkland will join Degree® and DanceOn to inspire people to move more through dance. That's why Degree® – the first deodorant activated by movement – is joining forces with DanceOn – the leading dance entertainment network – to help inspire people to dance more in the name of improved health and wellness. This partnership will bring together a team of today's top, most click-worthy dance professionals across genres – ultimately providing access to their expertise through in-person and virtual classes, plus exclusive online and social media content. Leading dance talent including Alison Stroming, Nicole Kirkland, Tricia Miranda and Jessica Bass James will make Degree® the first step in prepping for their routines. Since the brand's MotionSense® technology gives users ultimate freshness with every move and provides 48-hour odor and wetness protection, it's the ideal product to sweat-proof dancers of all levels – whether the stage is a studio or living room. 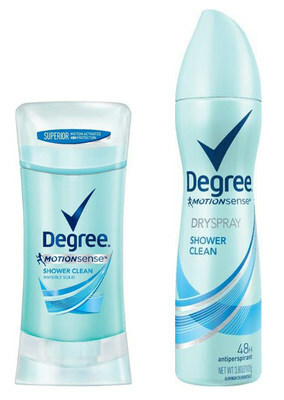 "Degree® has long been a proponent of moving more, and dance is such a great way to stay active since it's fun, has a built-in social element and can be sustained over time," says Dawn Hedgepeth, General Manager and Vice President of Unilever Deodorants, Men's Grooming and Hand & Body Lotion. "Our partnership with DanceOn is designed to encourage everyone to experience the multiple benefits – both physical and emotional – that come with dancing." "Like Degree®, our company understands the value of movement in one's everyday life," adds DanceOn Co-Founder and CEO Amanda Taylor. "Our community of dancers, choreographers and fans never stop moving and benefit from a product like Degree® that works as hard as they do." Taylor continues, "We're excited to partner with Degree® in our collective mission to share movement inspiration with the world." Degree® and DanceOn will bring live classes to movement-seekers in New York City and Los Angeles. From hip-hop and heels to ballet and more, everyone is invited to sign up for the free pop-up dance class style that moves them most. Plus, everyone that comes out will receive a complimentary** Degree® Dry Spray Antiperspirant Deodorant so they can keep dancing without the sweaty side effects. New York City, Oct. 16th at Broadway Dance Center: Join DanceOn instructors, including Alison Stroming and Nicole Kirkland. Visit here for more information and to sign up. Los Angeles, Oct. 23rd at Playground LA: Join DanceOn instructors, including Tricia Miranda and Jessica Bass James. Visit here for more information and to sign up. Not in New York City or Los Angeles? No problem! Stay tuned for four exclusive dance videos taught by Alison, Nicole, Tricia and Jessica coming soon to DanceOn's YouTube Channel. Plus, follow along on social media to learn more about how to enter the ultimate dance experience sweepstakes. Alison Stroming, Ballet – Born in Brazil and raised in New York City, Alison started her formal training at the age of nine and her professional ballet career at the age of 17 with the Alberta Ballet in Canada. She travels the world performing in high-profile events and serves as a mentor to young dancers. Nicole Kirkland, Heels – Nicole has been teaching dance since the age of 16. She choreographs and collaborates with the music and entertainment industry's top talent and leads workshops around the world. Tricia Miranda, Hip-Hop – Born in Arizona, Tricia broke into the Los Angeles dance scene in 2001 and has since danced and choreographed for today's top industry music artists and entertainment shows. She shares her moves with millions via her social media channels. Jessica Bass James, Dance Fitness – With dance running in her family, Jessica combined her love for dance and fitness to create Dance2Fit, a program that leads millions to be mentally and physically healthier. DanceOn is the leading music entertainment brand for millennial and gen z women. With its massive community of 100+ million fans globally, DanceOn's social-first video programming has established major influence on trends in music, digital video, and top 40 hits. The company was co-founded by Madonna, CEO Amanda Taylor, Guy Oseary and Allen DeBevoise. DanceOn is available across digital platforms including YouTube, Facebook, Instagram and more. For more information, visit www.danceon.com.